Sputnik: Can we talk about a before and after 15 March, when the first large-scale demonstrations were held throughout Algeria? Ali Benflis: Certainly! But first of all, there was Bouteflika's announcement that he would run for a 5th term and the fact that someone who was not the president of the Republic submitted his application to the Constitutional Council. That day, the self-esteem of the Algerian people was hurt, they felt humiliated and challenged by that imaginary and irrational candidacy. People from all over the country took to the streets and said: "Stop humiliating and provoking us". That day has become a turning point; from that day there was a before and after. Sputnik: Does that mean that it was the foundation for the mobilisation? Ali Benflis: That event has become the foundation and the trigger for the mobilisation. And right after that, I said that we needed to take some measures in order to ease the tensions. And then, we could come out of the crisis, seek ways out of it and discuss them at the right time. Sputnik: What measures of easing tension are you talking about? Ali Benflis: I said it right after the application and the announcement of the fifth term. I said that to appease the population, strong announcements were needed. First of all, [we need] the withdrawal of the fifth term and the shutdown of the Ouyahia government. Then [we need] the freezing of this National Commission for Election Supervision, which was described as "high and independent", while in fact, it is neither high nor independent. The goal was to show that we have given up old practices. I even called for the resignation of the president of the Constitutional Council, who, during the presidential oath of 2014, declared his fidelity "to the president and to Algeria", that is the fidelity to Algeria is after that to the president. What happened next? The president announced that he would not run for a fifth term and that he hadn't intended to run for president! That gives you an idea about the management of the country. He also announced plans to reform and resign after early elections. As a result, on Friday, 8 March, people throughout Algeria took to the streets. Then, there was another announcement that there would be no fifth term, but the fourth term would be extended for a period that would be fixed by the National Conference. Moreover, the shutdown of the Ouyahia government was announced as well as the formation of a new government chaired by the former minister of the interior and a deputy prime minister, a position that does not exist in the Algerian Constitution. Now, what will the National Conference do? They will write a Constitution from above, that is persons designated by the president will do that. And all that happens when people want to become sovereign and have their Constitution written by those elected by them. Sputnik: In your opinion, what do these protractions on the part of the Algerian authorities indicate? Ali Benflis: The 2014 elections, already, were a renewal of the power vacuum. Extra-constitutional forces seized presidential power. I'm talking about the president's entourage. There are businessmen who have got 80% of government contracts. Five or six of the wealthiest people have grabbed large fortunes and formed their own television channels, newspapers, etc. With all the means at their disposal, they influenced civil and political institutions that have ended up at their mercy, since those forces had the power to appoint walis or ministers. The fourth terms is expiring in a few months. They had to take some action in order to maintain their position. They were insisting on the fifth term on behalf of the president. The thing was too important to let go. They tried to organise the elections for the fifth term but failed. They wanted to extend the fourth term by pretending to carry out reforms. This political power has had 20 years, that's a long time. They had $1.2 billion in their hands. However, they have failed to build political legitimacy; power was exercised without regard for the sovereign people. The reforms needed to move from oil-and-gas economy towards an alternative economy haven't been made. There is no recognition of true civil society, and the unions. We have social conflicts because there is no legitimate dialogue. The omnipresent Syndicate [the General Union of Algerian Workers (Union Générale des Travailleurs Algériens), founded at the time of independence in 1956, and considered the only official union] is at the service of the State; they want to represent the workers who have gone to the autonomous unions. Some [new unions] have attained their rights to exist since they are active and have many people within them. Many others haven't been accredited. And these are one of the forces that could hold a political dialogue. With great difficulty, only a few parties have managed to get accreditation, including mine, which has been an opposition party from the start. Many parties failed to get accredited. This is the result of the work of the minister of the interior who was the architect of three rogue laws — the law on political parties that prevents political parties from being accredited, the electoral code, which manages election engineering and doesn't respect the popular will; and the law on the so-called "high and independent" National Commission for Election Supervision, which covers fraud by the Ministry of the Interior. Sputnik: You mentioned the previous elections. In 2004, you said that "the army was not with them". Can we say the same thing today? Does the army support Bouteflika? Ali Benflis: I come from a family where there are nine martyrs for the liberation of the country; in Algeria there are a million and a half martyrs, including my father and my brother. They were kidnapped when I was twelve and a half and their bodies still haven't been found. The ANP, People's National Army (Armée Nationale Populaire), is made up of our children, women and men, who face the same economic and social problems as all Algerians, including decreasing purchasing power and other daily difficulties. It does not occur to me for a moment that the army can be against the people. I don't think I'm wrong. I said it yesterday, the day before yesterday, and I'm saying it again today. Sputnik: And what about the General Staff? Ali Benflis: The army is a republican institution, an institution of the Algerian nation. It is composed of the children of the nation. Today, and during the three Fridays that have passed, the army has been busy exercising its constitutional missions. So far, we haven't seen the army take a stand against the Algerian people. I even think that the security services, in general, are supporting the aspirations of the people. It's proven by the fact that people demonstrate, occupy the streets and squares, in a spirit of great lucidity and civility. I think that the things supported by the people, in general, are: army, security services, gendarmerie, police, and State institutions. By the way, everyone was out on the street on Friday, including police officers and security personnel. The protests have been gaining momentum and now all the people have united to move towards peace and a state where the people are sovereign. 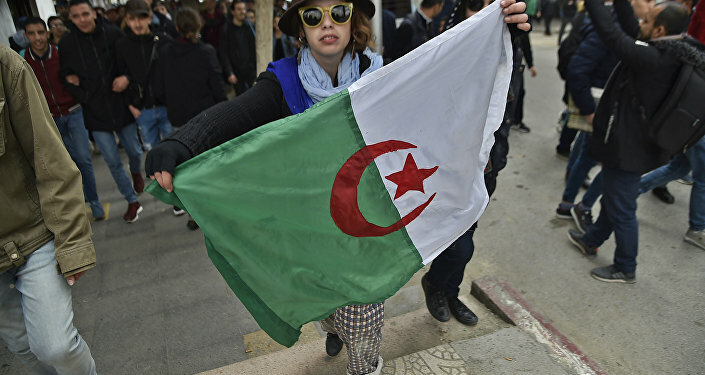 The situation is ripe for Algeria to move from an autocratic system to a democratic one. Sputnik: If there are so many people who are against the authorities — or, at least, who support the aspirations of the people — why is the government maintaining its position? Ali Benflis: I'm trying to make an objective analysis. There are various things said about the army… But what I see on my side is a very healthy development in the sense of the aspirations of the people and history. Algerian political power still governs using a nineteenth century mentality, but I don't think that they're going to do that for long. They don't see the young people (42 million people, with more than 70% under 45), who have access to the internet, see what is happening in the world and want to live in their country in their own time. But the authorities want them to live in their country but like previous generations. I was afraid there would be an outbreak of violence. Today I exclude that possibility, seeing that the youth today, who has a degree and who is learning every day in the school of life, has taken its destiny in hand without breaking a single window across the country. On Friday, 15 March, there were two or three times more protesters throughout the country compared to last week. I don't know who could venture to say how many people there were in total. Sputnik: In your view, what is the way out of the current situation if the government doesn't change its position? Ali Benflis: Listening to people is the greatest lesson and the best school. I think there is listening going on now, since the 5th term has been given up and the government has been changed. But with announcing a National conference, which has no legitimacy at all, another provocation has been created. So, what will happen? You have millions of protesters across the country. What is this force that could say to them "you are wrong," or "we are not listening to you?" It seems to me a matter of days and there will appear something new that's listening to people. In the government — and here I am not talking about extra-constitutional forces — there are patriots and people who don't accept that we're headed into oblivion. Sputnik: Let's say the government doesn't extend the fourth term. Are you in favour of keeping the original dates of elections, or does there need to be a transition period before holding new elections? Ali Benflis: It's not about what I think. A new Algeria has been born. Anyone, be it a leader, politician, trade unionist or a citizen, who doesn't understand that, doesn't understand anything about what is happening in the country today. The resignation of the president is a necessity. He has to leave. I don't even know if he is there or not, I don't know anything about his health; and the people don't know that as well. The danger comes from extra-constitutional forces. People who say "beware: the protests will lead to outbreaks" have not understood anything. The danger doesn't come from the street; the protesters have shown wisdom. The danger comes from extra-constitutional forces. They must be prevented from decision making as they are at the origin of this idea of the national conference and new government. The decision to keep the new PM, who is the former minister of the interior, is a provocation for the Algerian people. This agenda must be removed. New faces must emerge and take the reins of the country. Strong announcements must be made and serious actions must be taken. I think, it's impossible to hold the elections in due time, since the president has cancelled them. Elections have been rigged in the past, by the political and administrative structures influenced by extra-constitutional forces. There must be a truly independent commission that won't be an outside observer but will be responsible for organising elections. For example, the voters list is still unknown; first they say there are 20 million voters on the list, and then there are 19, 22 or 23 million. All of this needs to be reviewed. The first achievement would be to hold elections that allow an honest expression of the popular will. Sputnik: Could a problem of representativeness arise before the elections? Who will make strong announcements once the president leaves? Ali Benflis: Just listen to the people and a solution will be quickly found. A debate needs to be started. The Algerian people have said that they no longer want this system, this president who no longer exercises his functions, these extra-constitutional forces, or those who have rigged elections. You need to eliminate all this to move towards the desires and wishes of the people. Ali Benflis: I never said that. Since 1962, Algeria has freed itself from colonialism; it has gained independence. I don't claim that all those who have run the country since 1962 are round pegs in a square hole. This is not true; there have been achievements. But during the last 20 years there have been excesses impossible to accept — never-before-seen fraud, huge unnecessary expenditures, and corruption. The state system is contaminated. 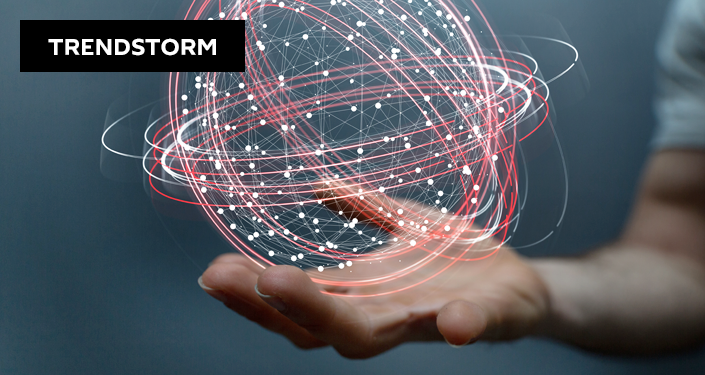 Every school reform has failed; the same is true for health system reforms. The authorities are in the pay of certain individuals; justice is not independent. The Audit Chamber has its hands tied. Algeria, a large regional power, has become almost nothing in the eyes of the international community. All this needs to be reviewed. Fortunately, there is the ANP which exercises of its constitutional functions thus preserving the unity of the country and monitoring our borders; and it does it very well. Ali Benflis: Algerians don't like the Arab Spring. There is an Algerian national peculiarity. We had a million and a half martyrs, with hundreds of thousands of mujahideen among them. All of us — me, my children, our families — we are the heirs of the worthy ANP and its chouhadas [martyrs]. We don't accept that a stranger tells us what we have to do, including when they praise us. We don't like it when it comes from the outside. This is an Algerian domestic affair. We don't accept any foreign interference in order to "help" or to praise us. You can't destroy Algeria and do something similar there to what has been done in Libya, Syria, or Yemen. The Algerian crisis will be settled by the Algerians peacefully, quietly and gradually. Sputnik: The authorities have warned against interference. Does such a risk exist? Ali Benflis: There is zero risk of interference. I was a presidential candidate in 2004. The minister of the interior gave false results, of course. Even before the Constitutional Council decided on the final results, the then French President, Jacques Chirac, had already congratulated the "elected President of the Republic". That was interference. I never said it at the time, so as not to humiliate my country. In 2015, President François Hollande spent a few hours or a day in Algeria. He was received by the President of the Republic. I don't know under what conditions it was done, since we were shown [on television] some rather blurred pictures taken from afar. Hollande came out of the president's residence saying that he had seen the president, and that he was doing very well, and was in very good shape. That false statement by the French president highly displeased the Algerian people. The Algerian people cannot accept it when France says that Algeria must have a transition period. We don't interfere with what is happening with the Yellow Vests; this is France's affair, not ours. We don't interfere with what is happening in Tunisia, which is a brother and friend country, neither do we interfere in Morocco or Egypt. The people of Algeria don't like such statements; they don't accept them. This is part of Algerian culture. What I say is that there cannot be an Arab Spring for Algeria; it has been completely rejected. Algeria is a country where you have the army, police and gendarmerie united with their people; and we cannot accept all these comments coming from abroad. Sputnik: Even when these comments are in support of the Algerian people? We have seen a US diplomatic representative say that the United States supports the Algerian people. Ali Benflis: I speak in a general way. I don't want to provoke anyone. People can say what they want outside, but Algerians are what I have just described to you. Sputnik: What is your assessment of the attitude of the Algerian opposition before and during this crisis? Was it in tune with this movement or rather taken aback? Ali Benflis: This civil movement is not the work of the opposition. If someone tells you the opposite, I won't agree with that. No one in the opposition, be it a personality or a political party, can be said to be the author of it. But the opposition has taken note of what happened. Things have never been easy for the opposition, which has always been attacked by the government. It was prevented from playing its part, and [the authorities] did everything to divide it. If the people criticise the opposition, they are sovereign; they have the power to say what they want, including about the opposition! We shouldn't become like the government that has designated representative parties, and attributed the quotas as they wanted. The day we have free and transparent elections in this country, we will see who has weight among the political parties. Sputnik: If there were such elections, would you consider becoming a new presidential candidate? Ali Benflis: I have created a democratic and modern political party where there is no "leader" who does everything he or she wants. Let's wait and see how things will evolve. The decision will be taken by all party members and structures. For my part, I am only the head of the party, who was elected at a convention.